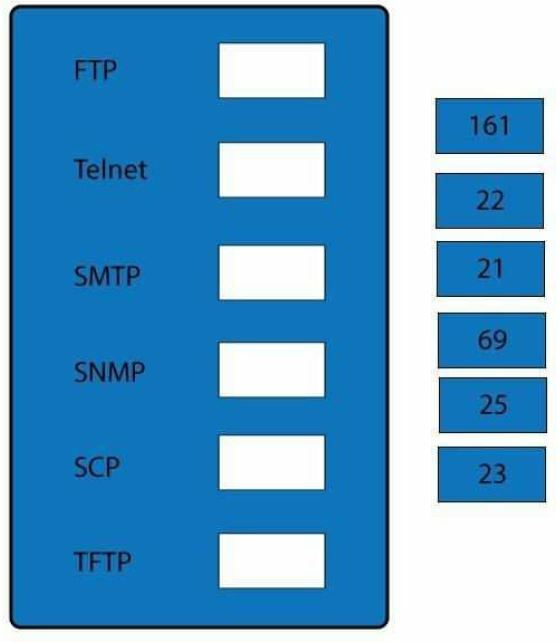 FTP uses TCP port 21. 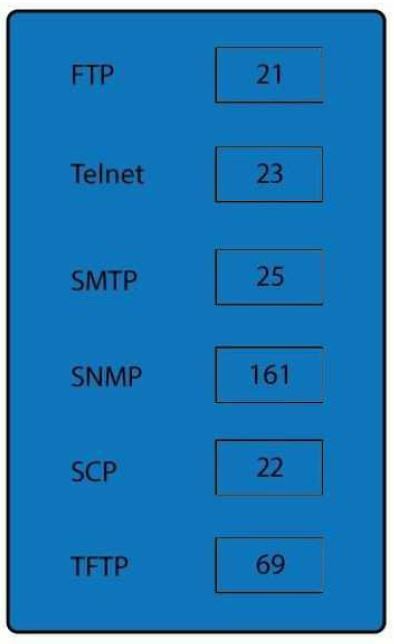 Telnet uses port 23.
and Remote Copy Protocol (RCP). Secure FTP (SFTP) is a secured alternative to standard File Transfer Protocol (FTP). SMTP uses TCP port 25.